Most parents are worried in choosing a mosquito repellents for their babies or toddlers. There are not sure whether it is safe to use any mosquito repellents on young babies. According to American Academy of Pediatrics (AAP) that repellents with DEET are safe to use on kids as young as 2 months old. Though AAP recommends that products for children should contain no more than 30 percent DEET. Experts believe that DEET based mosquito repellents are the most effective and provides the best protection against mosquito bites and other insects such as ticks and fleas. Choosing the best mosquito repellent for babies can be confusing, though. Here are some of them. This mosquito repellent contains 7.15% DEET and provide upto 2 hours of protection against mosquito and other insects. 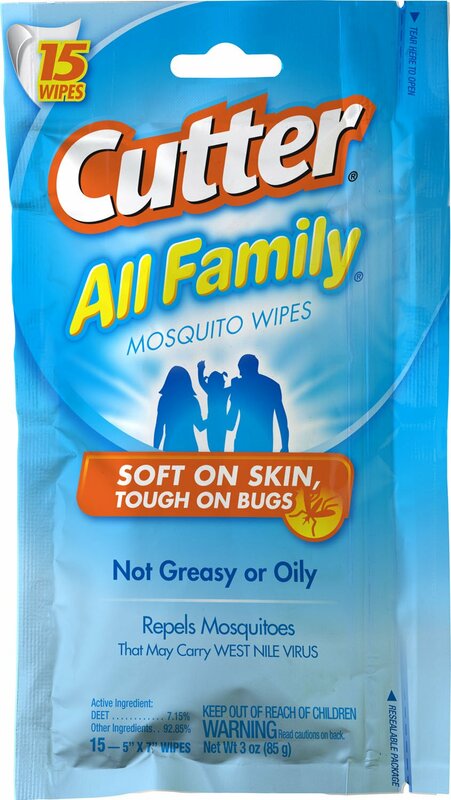 Cutter wipes are safe for kids as the 7.15% DEET formula meets the American Academy of Pediatrics guidelines for use on children ages 2 months and older. The wipes are soft and pleasant to use,the wipes are packaged in a resealable pouch, so they won’t dry out after opening. This mosquito repellent has very little of any scent. It contains 10% DEET and works well against mosquito bites. It’s safe to use for kids. It’s a very easy spray to apply without the greasy feeling of many other insect repellents and you don’t have to rub it in and get it all over your hands either. There is no odor to it so you don’t have to worry about smelling like toxic chemicals. Off! 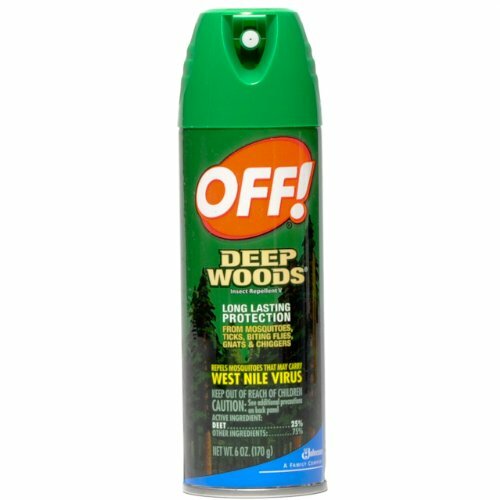 Deep Woods Insect Repellent provides long protection from mosquito bites. The spray leaves a slick layer of protection on the skin, but can also be sprayed on non-synthetic clothes. Deep Woods Off is quite effective in warding off not just mosquitoes but other bugs such as ticks, biting flies, gnats & chiggers. Provides long protection from mosquitoes, ticks, biting flies, gnats & chiggers. Cutter Skinsations insect repellent is soft on skin but tough on bugs. The crystal-clear spray soothes skin with conditioners like aloe and vitamin E–providing a clean, fresh scent–yet boasts a 7% DEET formula that offers dependable mosquito protection for hours. COFF! botanicals products have a unique formula that uses a plant-based ingredient. They contain the insect repellent found in eucalyptus plants. OFF! botanicals products are effective, dependable protection that feels great on, not sticky or greasy, and they have a light, clean, fresh fragrance. 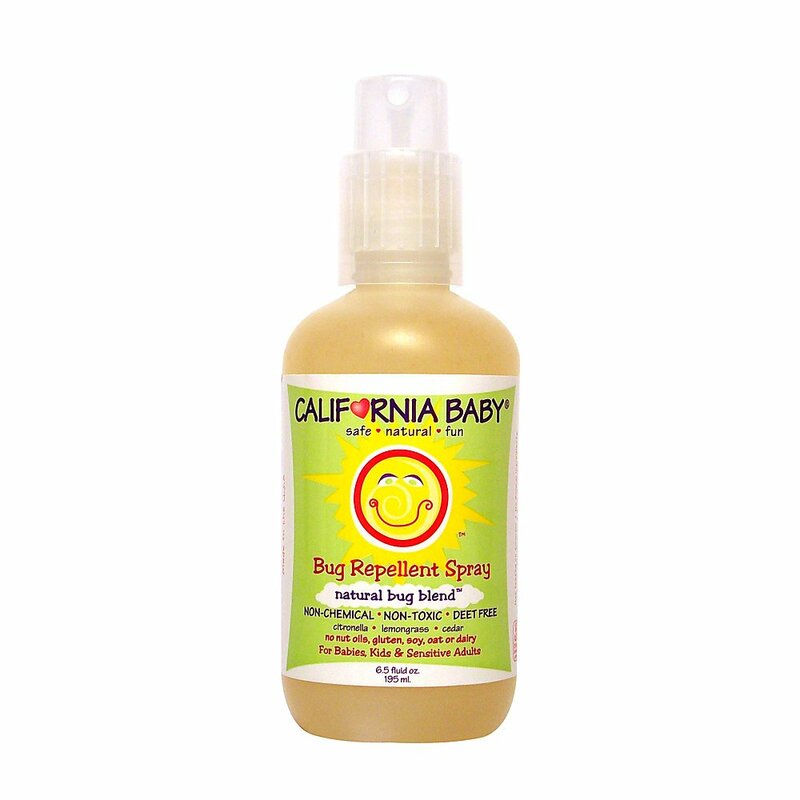 California Baby Natural Bug Blend Bug Repellent Spray contains ingredients like citronella, lemongrass and cedar to keep you safe from bugs without DEET. Designed for babies and pets, it has a mild, natural scent. SkinSmart is our DEET Free insect repellent formula with active ingredient IR3535. IR3535 is a bio-pesticide proven to be as effective as DEET, Picaridin, and other common repellents. It is odorless, long-lasting, rapid drying, non-sticky and safe for use on the entire family, including children. The owner of this website is a participant in the Amazon Services LLC Associates Program, an affiliate advertising program designed to provide a means for sites to earn advertising fees by advertising and linking www.mosquitorepellentreviews.com to Amazon properties including, but not limited to, amazon.com.